Aneesa Strings is a bassist, vocalist and composer from Oakland, California. She began playing professionally and recorded her first jazz album at just 13 years old. 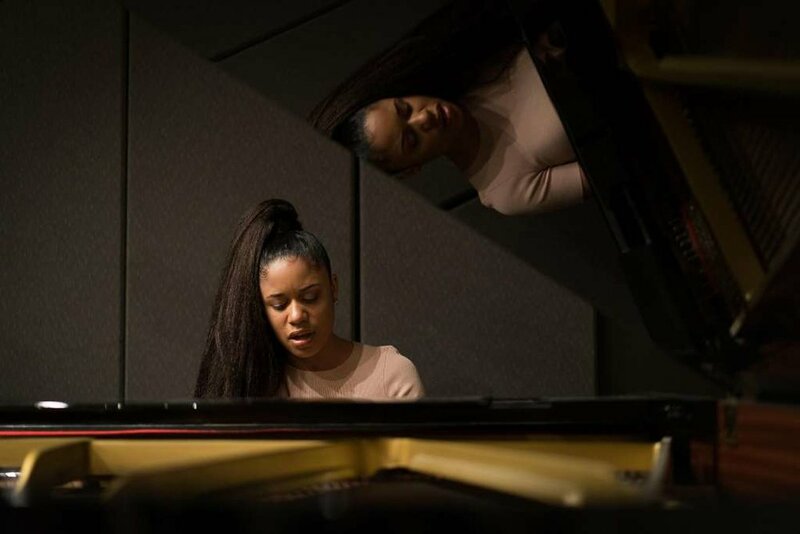 Aneesa received her Bachelors of Music in Jazz Studies at the University of Southern California in 2014, where she released her first solo album A Shift In Paradigm, produced by Patrice Rushen, in collaboration with SFJAZZ. She then went on to earn her Masters of Music in Jazz Studies at Michigan State University in 2016, where she toured as the lead singer of the Bebop Spartans Big Band under the direction of Rodney Whitaker. Ms. Strings is currently writing and recording for her forthcoming sophomore album, while teaching and performing worldwide.